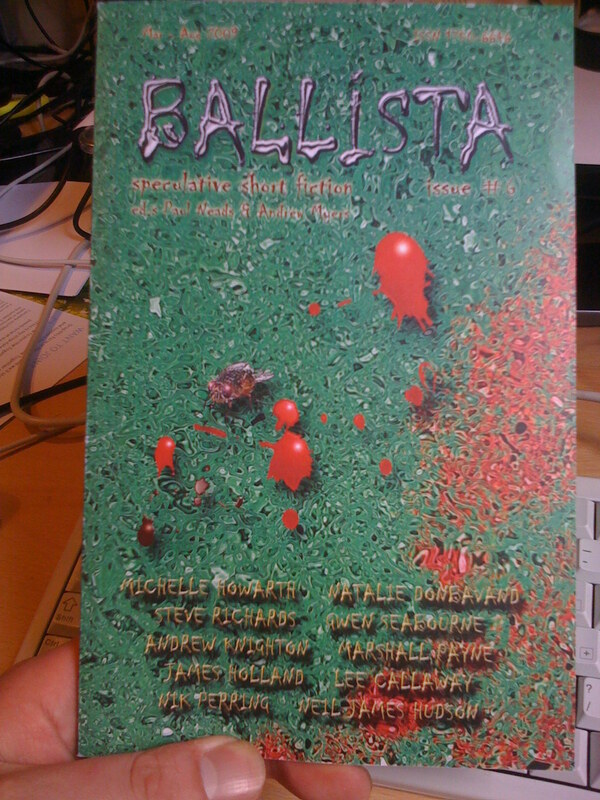 This just dropped through the front door – the latest issue of Ballista, which contains my story Counting Rain. Looking forward to reading the whole thing later. It looks rather good. It’s great, isn’t it!And thank you. Looks really good, Nik. Congrats! That does look good. Well done.